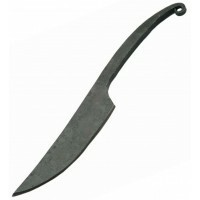 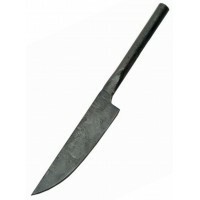 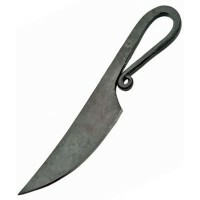 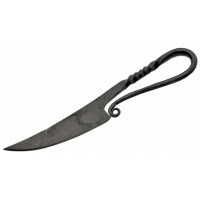 The working knife of the Witch, this iron Boline is perfect for carving wax, cutting herbs and other necessary work of witchcraft. 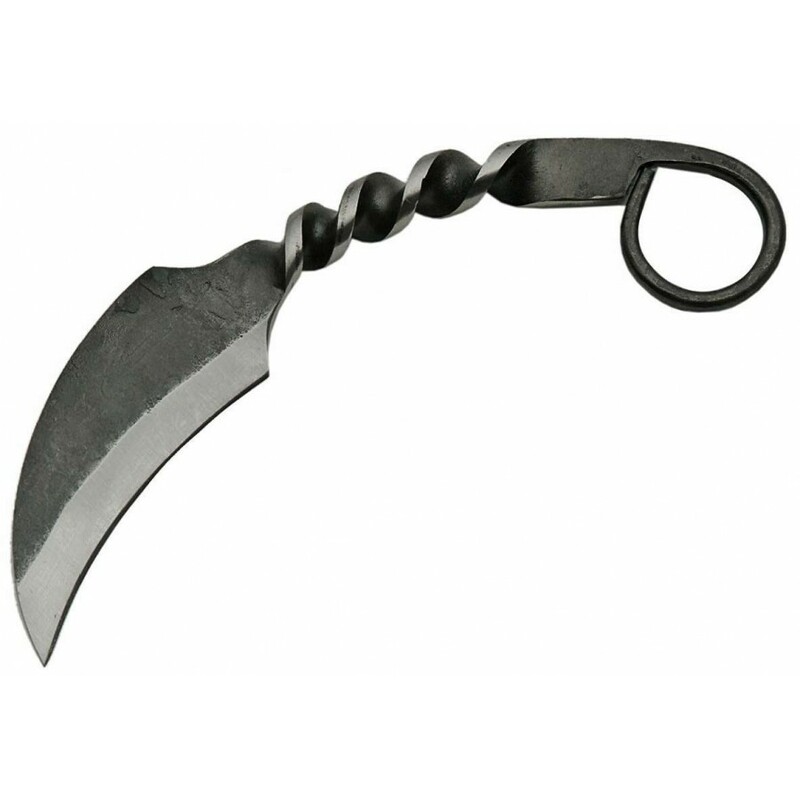 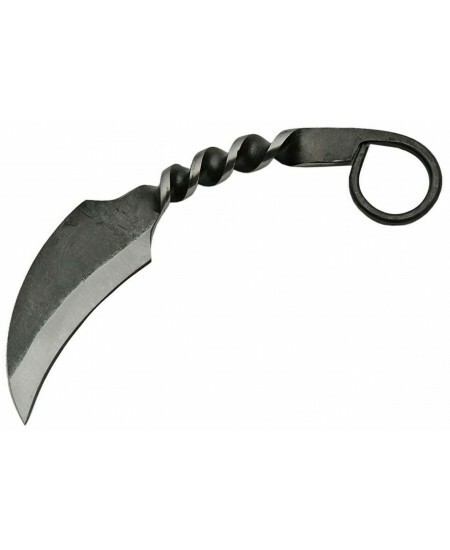 Hand forged black carbon steel karambit style boline knife is a stunning addition to your altar or knife collection with a twisted iron handle terminating in finger ring. 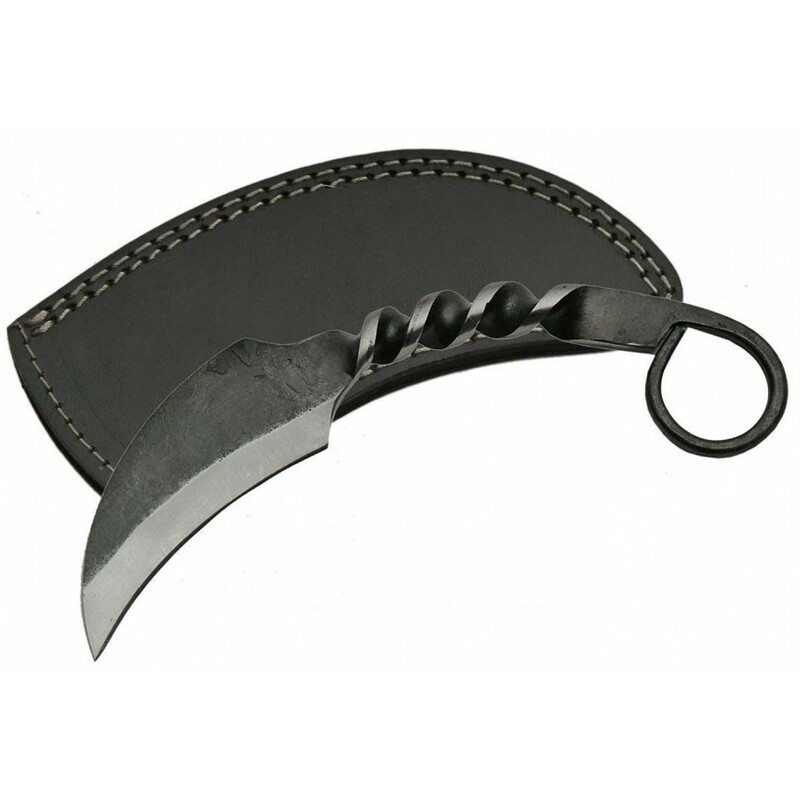 Measuring 7 inches long overall, this single edged blade (ships unsharpened) comes complete with a leather sheath with belt loop. 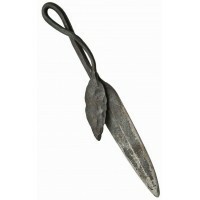 Perfect to carry along to forage for herbs. 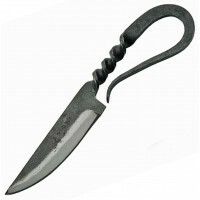 Item Number: SZ-HS-4409 | Approximate Size (Inches): 1.00 wide x 0.35 deep x 7.00 high | Approximate Shipping Weight: 0.50 lbs.